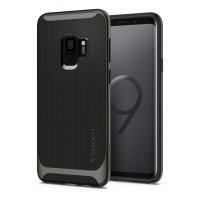 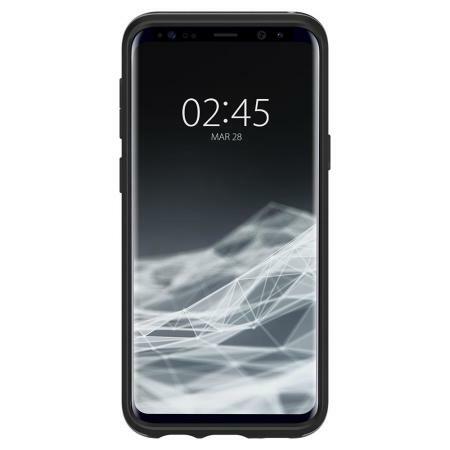 The Spigen Neo Hybrid for Samsung Galaxy S9 is an assembly-type case with a TPU back cover and a polycarbonate frame. 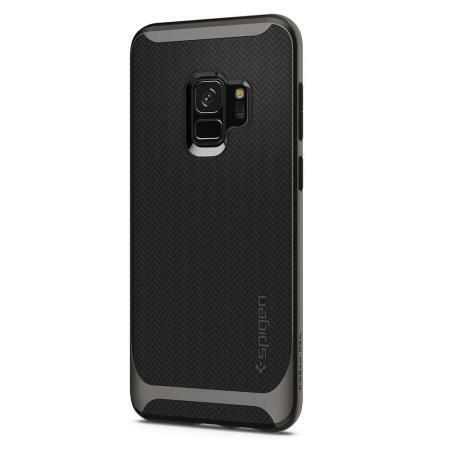 The TPU cover provides supreme durability and shock protection for your phone, while the UV coated polycarbonate frame adds additional strength and rigidity to the case. 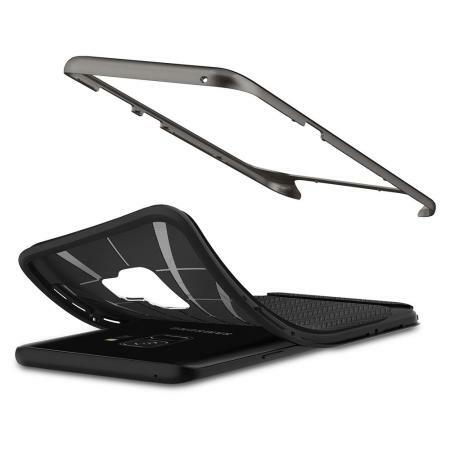 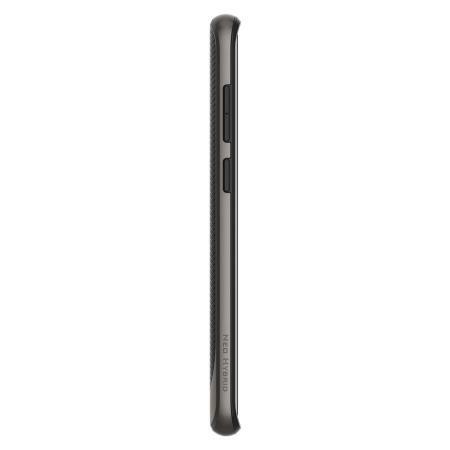 The soft case also prevents any damage that might be caused by removing or attaching the case. 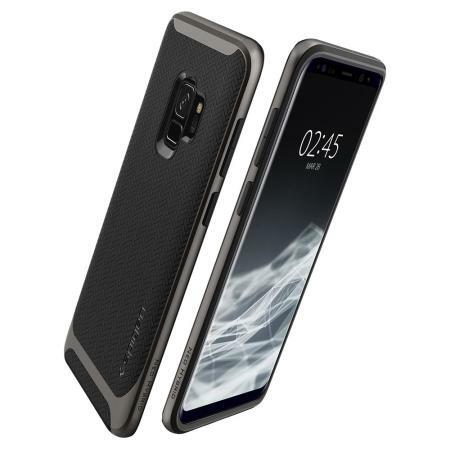 The Galaxy S9 has a distinctive and timeless design, so you'll want a case that preserves this look while offering protection from scratches, scrapes and minor impacts. 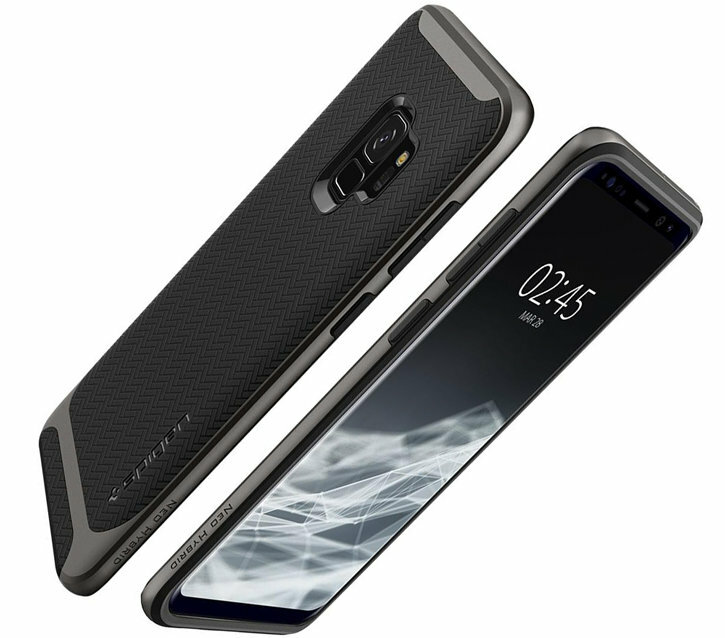 Each Spigen Neo Hybrid case has been expertly designed to be as thin as possible without sacrificing protection, and made to perfectly follow the contours of your phone, preserving as much of the original appearance as possible. 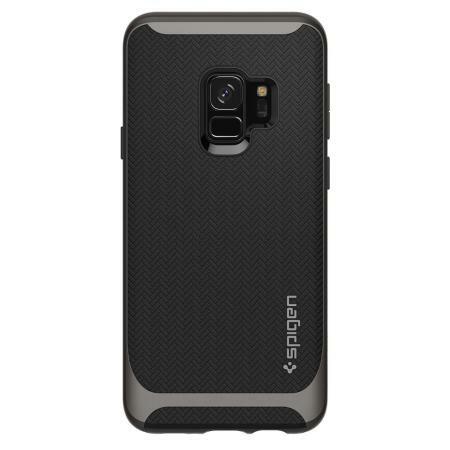 The Spigen Neo Hybrid case features a slightly raised bezel lip which lifts the screen off the surface, when placed screen facing down. 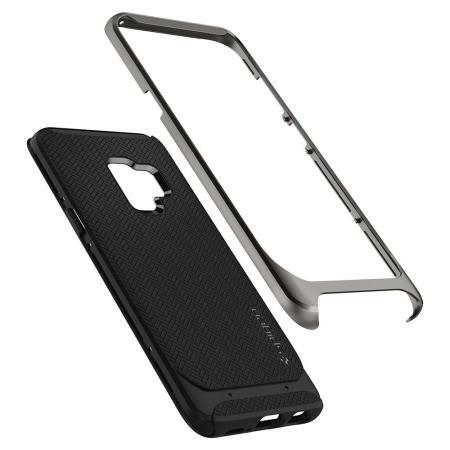 This protects your phone's screen from abrasions and surface scratching, making sure it is in pristine condition at all times. 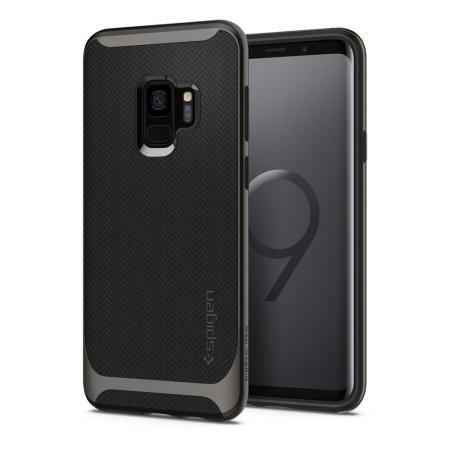 The Spigen Neo Hybrid case for the Samsung Galaxy S9 comes with a two-tone colour combination that will set your Galaxy S9 aside from anyone else. 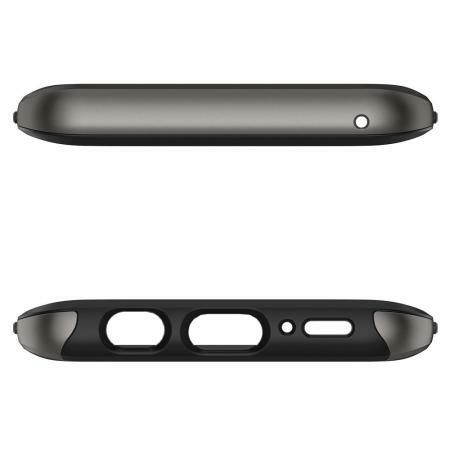 The colours are finished at an incredibly high standard with a UV coating that prevents the colour from fading giving a product that will look great and stay great for a long time. 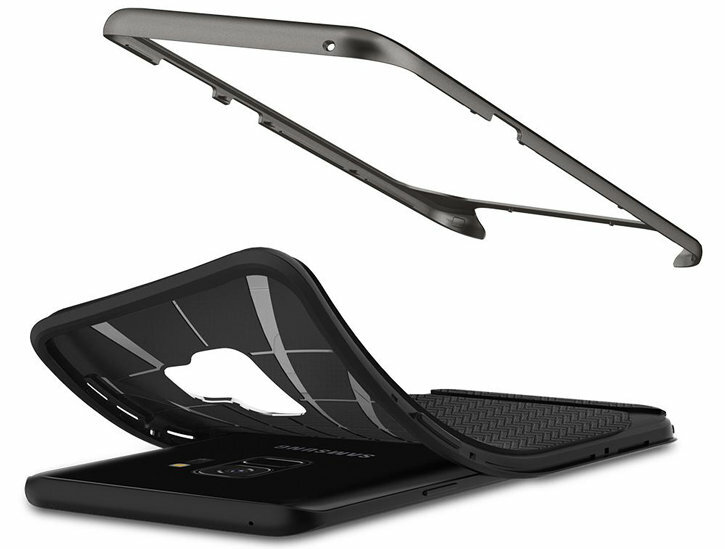 The polycarbonate frame can also be changed for different styles. 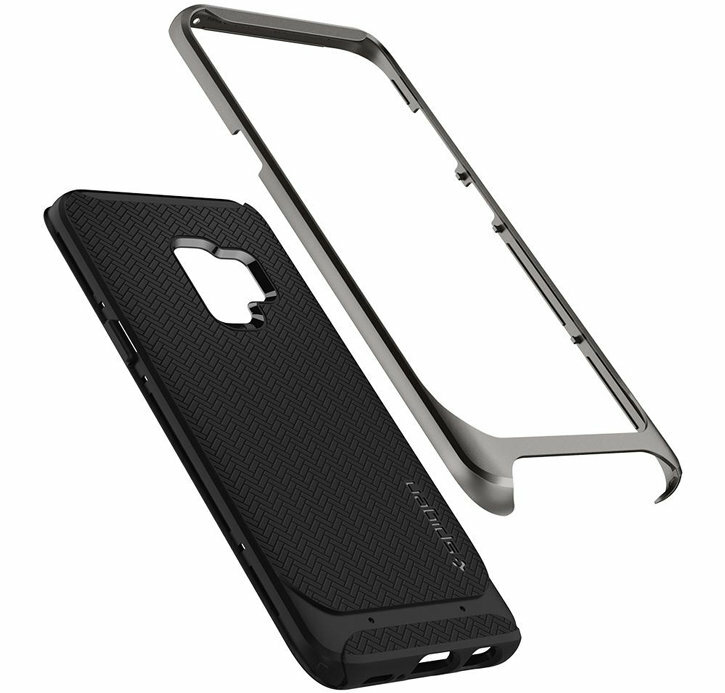 The case optimises functionality to all of the devices ports and features. 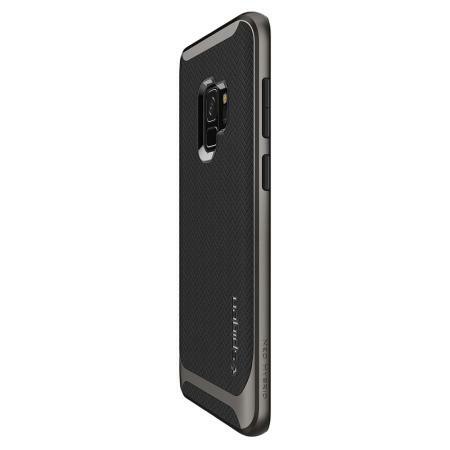 The TPU case features moulded button covers, while the headphone port, charging port, and camera are left open for easy use.